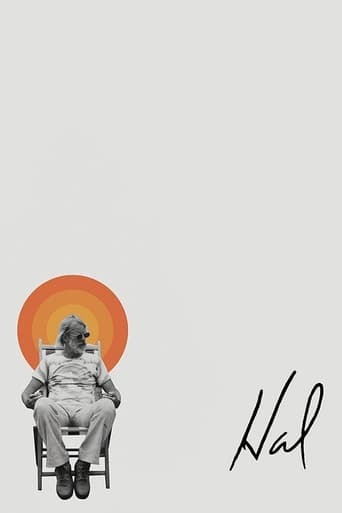 From Wikipedia, the free encyclopedia Hal Ashby was an American film director and editor associated with the New Hollywood wave of filmmaking. Before his career as a director Ashby edited films for Norman Jewison, notably The Russians Are Coming, the Russians Are Coming (1966), which earned Ashby an Oscar nomination for Best Editing, and In the Heat of the Night (1967), which earned him his only Oscar for the same category. Ashby received a third Oscar nomination, this time for Best Director for Coming Home (1978). Other films directed by Ashby include The Landlord (1970), Harold and Maude (1971), The Last Detail (1973), Shampoo (1975), Bound for Glory (1976) and Being There (1979). Born William Hal Ashby in Ogden, Utah, he grew up in a Mormon household. His tumultuous childhood as part of a dysfunctional family included the divorce of his parents, his father's suicide, and dropping out of high school. Ashby was married and divorced by the time he was 19. As Ashby was entering adult life, he moved from Utah to California where he soon became an assistant film editor. After being nominated for the Academy Award for Film Editing in 1967 for The Russians Are Coming, the Russians Are Coming, his big break occurred in 1968 when he won the award for In the Heat of the Night. At the urging of producer Norman Jewison, Ashby directed his first film The Landlord in 1970. While his birth date placed him squarely within the realm of the prewar generation, the filmmaker quickly embraced the hippie lifestyle, adopting vegetarianism and growing his hair long. In 1970 he married actress Joan Marshall. While they remained married until his death in 1988, the two had separated by the mid-seventies, with Marshall never forgiving Ashby, along with Warren Beatty and Robert Towne, for dramatizing certain unflattering elements of her life in Shampoo. Over the next 16 years, Ashby directed several acclaimed and popular films, many were about outsiders and adventurers traversing the pathways of life. Aside from Shampoo, Ashby's most commercially successful film was the Vietnam War drama Coming Home (1978). Starring Jane Fonda and Jon Voight, both in Academy Award-winning performances, it was for this film that Ashby earned his only Best Director nomination from the Academy for his work. After Being There (his last film to achieve widespread attention), Ashby became notoriously reclusive and eccentric, retreating to his home in Malibu Colony. Later it was learned that Ashby was using drugs, and he slowly became difficult and unemployable. Attempting to turn a corner in his declining career, Ashby stopped using drugs, trimmed his hair and beard, and began to frequently attend Hollywood parties wearing a navy blue blazer so as to suggest that he was once again employable. Despite these efforts, he could only find work as a television director. Ashby died on December 27, 1988 at his home in Malibu, California. The Last Detail, Bound for Glory, Coming Home, and Being There were all nominated for the Palme d'Or.